If you’ve been following me for awhile, you know that I often have a gargantuan book haul around summer and winter break. And they’re all free (kinda)! So how am I getting all these lovely books? Two words, my friend: Scholastic Warehouse. 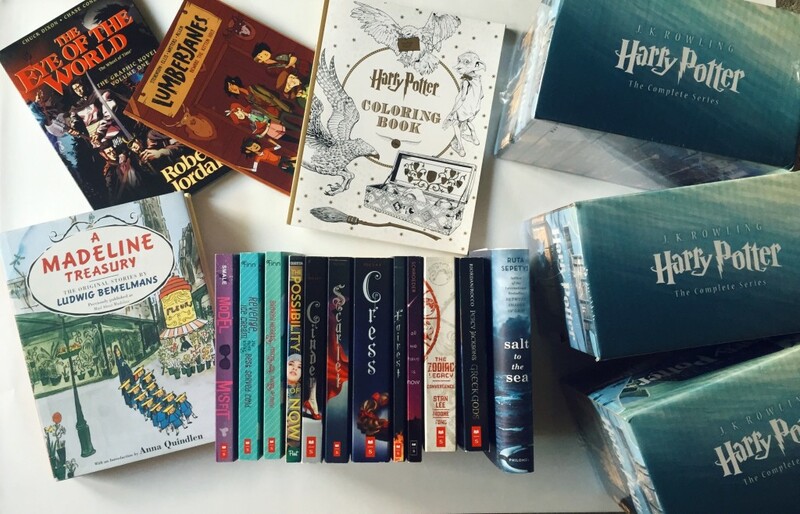 With December coming up, and Scholastic’s bi-annual sale, I’m here to teach you the secrets of the warehouse and how you can potentially score awesome books and be apart of a great volunteering opportunity. I’ve organized this into a FAQ style post so you can skip around if need be. What is the Scholastic Warehouse? 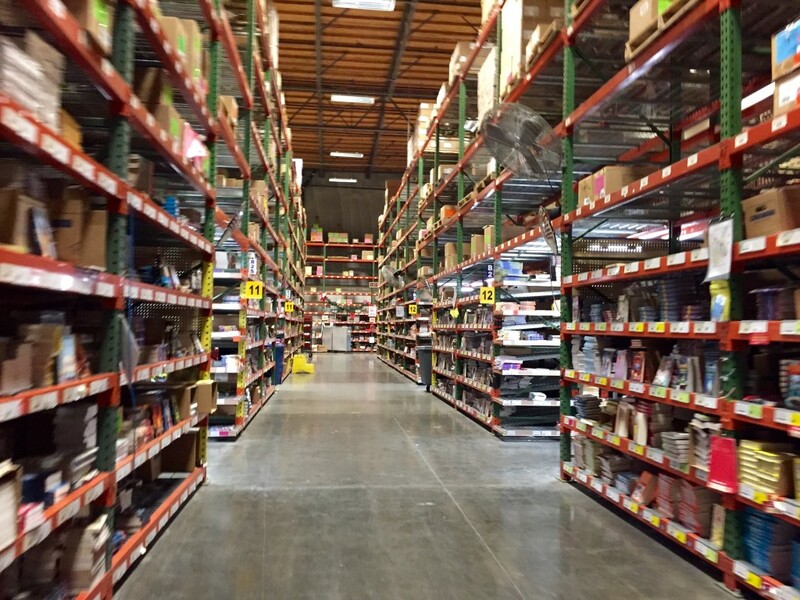 The Scholastic Warehouse is exactly what it sounds like. It houses the titles that Scholastic Publisher puts out. Often times smaller states will only have one or two warehouses (for example, Colorado only has one, but in my home state, California, I think we have six). Their main function is distributing books to the local schools/school districts for their book fairs (remember those? The warehouse is basically a book fair, but about 100 times bigger). Blurry picture is ugly, but this is two of about 16 rows we have at my warehouse. Look at all that lovely stock! When is the Scholastic Warehouse open? Typically twice a year, but sometimes they do pop-up sales in the spring and fall. Why do they have these sales? From my understanding, Scholastic tries to purge out their old stock, before the new stuff comes in, so books are greatly discounted. In recent years they’ve changed their pricing/discounts but no matter what, everything is at least 20% off, but often goes up to 80% off. Do they have YA books? Yes!!!! The beauty (or hindrance, depending on how you look at it) of the Warehouse sales is that there is a huge selection. Everything from ages 0-YA (they call it advanced readers, but it’s YA), and they even have adult books and Spanish as well. Who can go to the sales? Technically anyone. On their website they’ll say you have to be an “educator” but I’ve been going to the sale, as a customer, since I was in elementary school and we’re just happy to make sales that literally no one is going to ask if you work for a school. Lovely boxed sets are lovely. So, how can I get free books? Most importantly: WEAR COMFORTABLE SHOES. I can’t stress this enough. You’re standing for upwards of 6 hours on concrete. It hurts after awhile. Your converse shoes are NOT going to cut it. Dress warmly (or cooly). In the winter, those warehouses are FREEZING. And in the summer they’re SCORCHING. Either way though, you’ll be working up a sweat. Wear older clothes. Books are surprisingly dusty/dirty, and at the end of the day you’ll be surprised at how much dirt is on you. Also you’ll break a sweat, trust me. It’s not easy work, lifting, and heaving books around. Stock is ALWAYS changing. 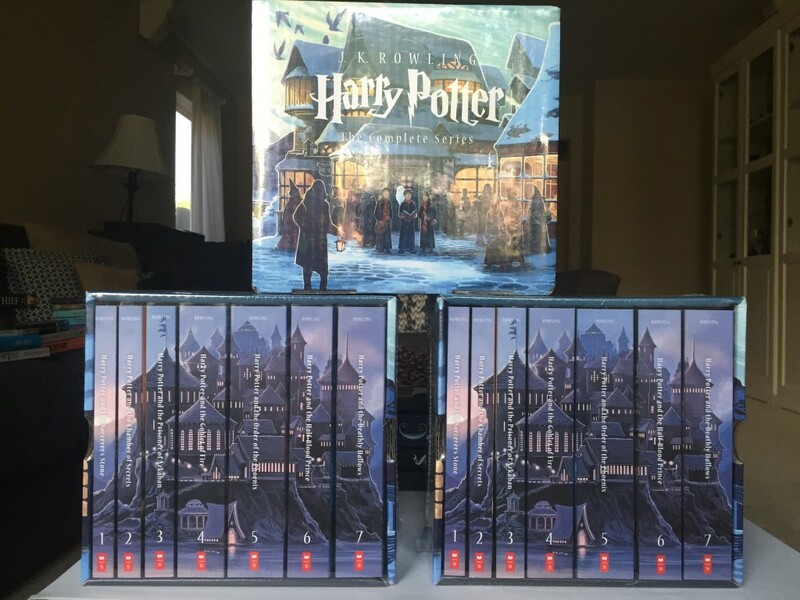 Those Harry Potter sets were on sale about 6 seasons ago, and I never saw them again until last year, so if you see something, even if you’re just a shopper, GET IT. We may not stock it again. Have any further questions? Let me know! And if you go to a warehouse sale, drop me a link to your haul/post! I love hearing about people’s experiences! Thank you for sharing this information. It’s a great post and not too many people know about the warehouse besides educators. I always loved the Scholastic book fairs and warehouse visits. Your tips are very concise. Ohhh goodie!! I did not know about this, Paige! I will definitely check this out! AHMAYZING! quick question: when you register, you have to say the school you’re working for (educator) but you said basically anyone can go. what would i select for this? thanks, paige!! You’re very welcome!! Also if you’re ever in the Anaheim area while I’m volunteering you should totes come visit! What I used to do was put down a school I used to go too. They never ask what school you’re from (unless you randomly shout out you’re a teacher or something) so don’t sweat it! I’m not 18 yet(ugh), do you think they would allow it if I went with a legal adult? Thanks! I can’t vouch for other warehouses but I’ve personally talked to my own supervisor about it and she was extremely hesitant to say yes based on legality and liability issues alone. I would def. check with your warehouses’ volunteer coordinator though! I just found this on Tumblr and as there is one happening right now and today is the only day I can go, it was truly perfect timing! Can’t wait to volunteer next time too! Thank you so much for sharing this! You’re very welcome! Glad I could help out 😀 Have fun! Gosh I want to do this! Working with books? It’s a dream!